Maler und Graphiker (1872-1956). 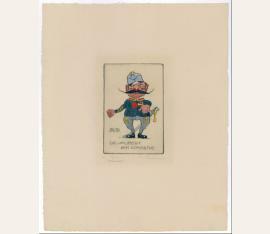 8 hand colored etchings. O. O. Jeweils 120:80 mm auf breitrandigem Van Gelder Zonen Büttenpapier (305:245 mm). Monogrammed and dated in the metal, and signed ("L. Hesshaimer") and inscribed ("orig. Radierung | Handgemalt") on paper. 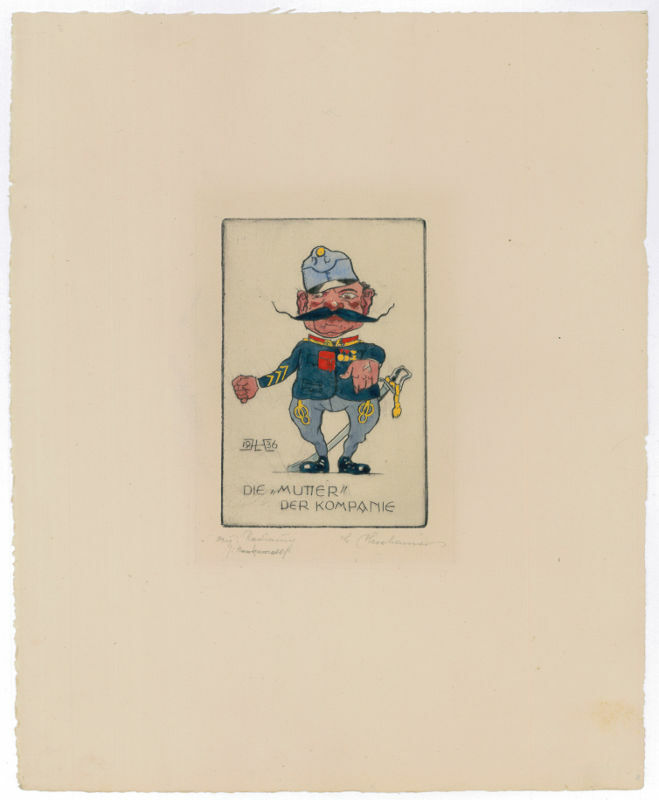 Hesshaimer's fine etchings are showing military characters in a cartooning manner. - With collection stamp on the reverse and traces of old mounting.